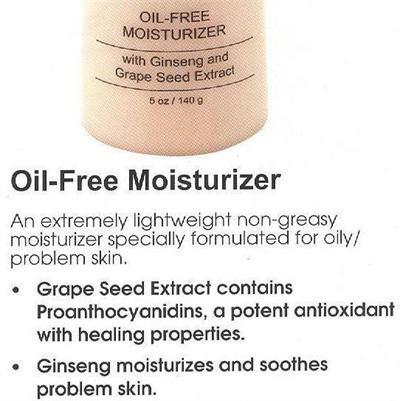 Home > Skin Care > Shop by Skin Type > Oily or Combination > OIL FREE MOISTURIZER w/Ginseng - 5oz.- Very lightweight & non-greasy - LB - TOP SELLER! An extremely lightweight non-greasy moisturizer containing Grape Seed Extract to help heal skin and Ginseng to moisturize and soothe. For normal to oily skin.